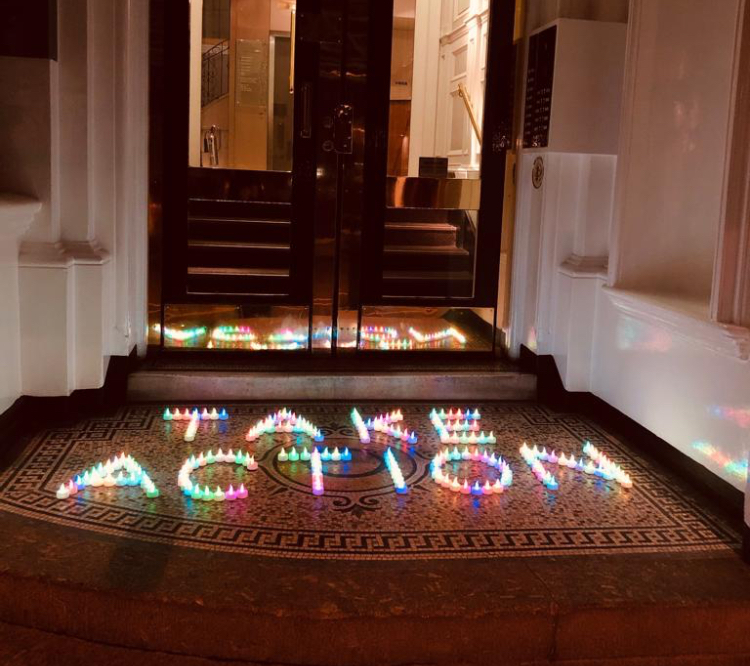 Join us in solidarity with Julian Assange the WikiLeaks publisher outside the Ecuadorian Embassy No 3 Hans Crescent, in London Knightsbridge tomorrow at 1pm in view of a visit by German Parliamentarians Heike Hänsel and Sevim Dagdelen, MdB. They form part of a 36 member strong of people’s elected representatives from 9 EU countries who wrote to PM Theresa May, President Lenin Moreno and UN General Secretary Antonio Guterres, expressing concern about his health, condemning the recent threats by the Ecuadorian government for the termination of his political asylum, pointing out the decision by the UNWGAD to free Julian Assange. Read their letter below! Looking forward to meet @wikileaks -Publisher Julian Assange tomorrow in the Ecuad. Embassy in #London. After that 1:30pm statement outside the embassy & 3pm in Frontline Club with @HeikeHaensel . 36 Parliamentarians raise their voice in support of Julian Assange of WikiLeaks. Over six years after the beginning of the forced embassy asylum by Julian Assange we urge on the occasion of the International Day of Human Rights on 10 December to a sustainable protection of the publicist and founder of the disclosure platform Wikileaks, the war crimes committed by governments and others has reported serious abuses. • We are concerned about Mr. Assange’s health and urge of a quick solution for the governments of the UK and Ecuador. • We condemn the threat of the Ecuadorian government, Assange so far granted protection in the embassy rooms while in the US previously secret warrant against the native Australian has become public. • We stress the importance of an Opinion of the Inter-American Court of Human Rights, which commits the Ecuadorian state to work for the well-being of persons working in diplomatic Representatives have sought protection. • We point out that the independent UN Working Group WGAD Prosecuted Mr. Assange as an arbitrary persecution. Should Mr Assange without legal protection and clarification of his situation from Ecuador to The road to be set would be an extradition to an unpredictable government in the US, who persecute him and possibly have him sentenced to life imprisonment would probably no longer prevent. The constant and arbitrary threat from Britain and the USA, the years permanent imprisonment, the continuing separation from his family and friends, the prevention of adequate medical care and the recent isolation Mr. Assange since March of this year are stabbing and outrageous injuries human rights in the middle of Europe. We therefore demand the immediate release, combined with the departure for him safe country. Thank you in advance for your reply. Gallery | This entry was posted in Assange, WikiLeaks and tagged human rights, Julian Assange, WikiLeaks. Bookmark the permalink.